A collection of local art by members, volunteers and staff of the Phinney Neighborhood Association. The People’s Choice Award will be selected by popular vote during the show. Thanks to Phinney Center Gallery for selecting my work to be part of this juried exhibition. Update: My photograph won the People’s Choice Award for this show! The award was determined by gallery visitor votes during the month that the show was on display. 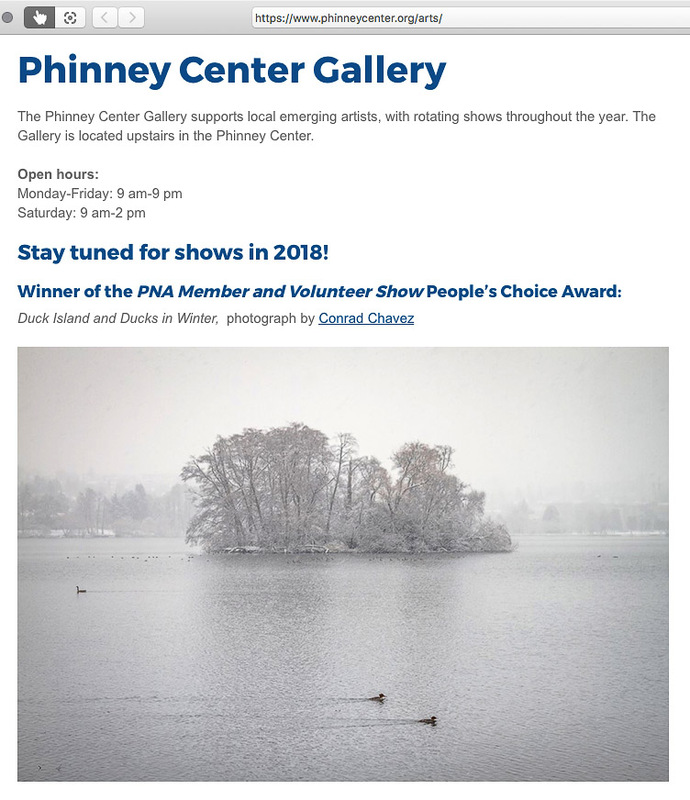 Many thanks to the Phinney Center Gallery and the community for your support!